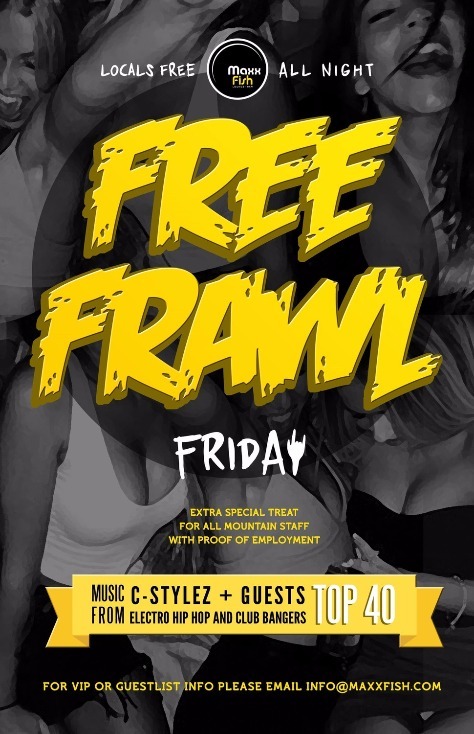 ​Let Dj C-Stylez help you forget about why you needed to rush into the mountains to get away from it all and start your Whistler experience right! Music requests, party favors and VIP sections are things we do well ... let us show you how to party, unless you can show us of course ?!! Not to mention amazing drink specials to help the weekend start strong and carry you through Sunday! Copyright Ohyama Roche Entertainment Ltd.